Anyone who has participated in Crossfit for any period of time will most likely have looked into the beginnings of the now global fitness phenomenon. There is a stark contrast between the Crossfit world we know now and the humble beginnings of the Crossfit world that emerged in the early 2000’s. Back then there was no such thing as sponsored athletes, organised competitions with thousand pound prize funds, sold out arenas or the entirely separate merchandising industry that now exists within competitive fitness. In the beginning there was simply an agreed date and time to meet (no qualifiers! ), a BBQ going on somewhere in the background and a music system cranked up to the max. Oh, and of course all of the support from the members of each gym. It was simple. You only have to go back to the 2008 Crossfit Games to see that exact scenario. At the time this was still the premier test to find the fittest man and woman within the sport, however Jason Khalipa won by clean and jerking at the dust filled ranch in Aromas. Not under the bright lights of the StubHub centre in California. The lure of big crowds and even bigger prizes is undoubtedly one of the main attractions on the competitive scene today. It gives everyone a chance to feel a rush that most of us have missed since competing in sports when younger. Being in front of screaming spectators with adrenaline flowing is something special. Although, what a lot of us now forget is that this type of atmosphere can be found just as easily at the more local competitions. There is a certain satisfaction found in a gym packed from wall to wall, spectators stood feet away from the rig and a playlist made up of everyone’s favourite classics. Atmosphere is all relative, if there’s 600 people in a 5000 seater arena it is nothing compared to 150 people packed into a local gym. When you’re pushing on those final few reps it feels a lot more intense with people cheering from only 3 feet away, it’s almost like they’re performing the work with you. 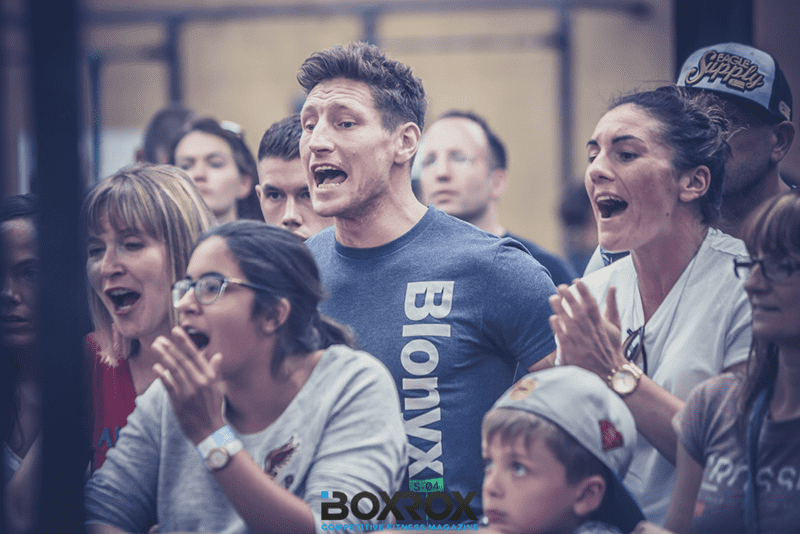 Screaming crowds are a huge part of the atmosphere of Crossfit events. With any event or sport that grows in size, the close knitted feel gradually begins to get lost. That’s just life, it is impossible to think that the same level of contact and community will remain as the format grows. Crossfit at the recreational level is perhaps the one exception that has managed to maintain some form of community across a global base. You can walk into any gym across the world and instantly feel at home with the common goal of getting fitter. 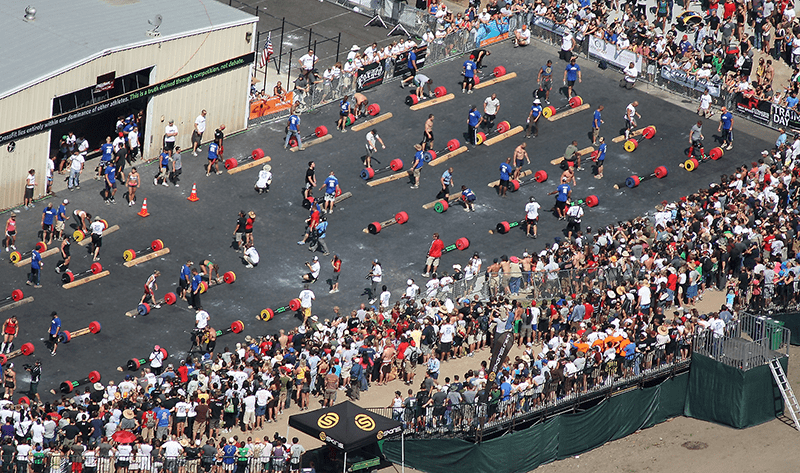 However, inevitably even Crossfit will struggle to keep this as competitive events grow. This is not the case at local competitions. Everyone there generally knows everyone and that community feel that was once part of the biggest stage in Crossfit is still present. It is essentially a social gathering with a whole load of fitness thrown in on top. After you’ve gone flat out against someone in a workout you can go and have a catch up whilst watching other heats or chill out with everyone else in attendance. It’s amazing how much more relaxed everyone is and that sense of community is found again, just look at Open events, they epitomise this. The smaller more local competitions allow for a melting pot of abilities to combine and they remove a vail of seriousness that is found at larger events. From time to time it is good to still have that competitive atmosphere (after all, a competition is a competition) but with a more fun vibe. You still want to go out and win a workout, but at the same time you’re there to have a bit of fun, the pressure is off and you just enjoy yourself. Who doesn’t want that? At the end of the day it comes down to loving what you do. If the elite of the elite competitions are where you want to be all year round then hey, go for it. However it might still give your training that little extra boost to give a local competition a go from time to time. 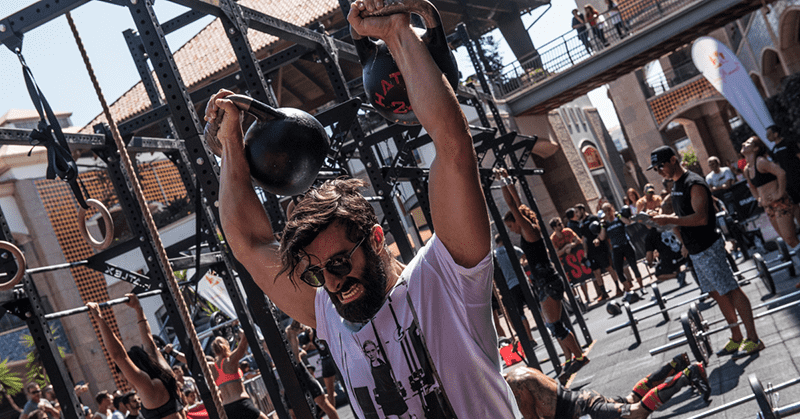 You still see some of the games athletes throwing down at local competitions over the course of each year which should tell you something about the benefits they can bring to your training. All I will say is give it a go, what’s the worst that could happen? You’ll turn up to a great atmosphere, have a load of fun, meet some great people and possibly win something. Doesn’t sound too bad to me. At the end of the day the localised competitions are the heart and soul of our community, they are the medium that keeps athletes of all abilities in touch and brings the community together. You might be surprised just how good these can be.